y first detox was such an epic failure that it led me to seek answers and support. Fast forward four years, I now do a two-week detox about twice a year to give my digestive organs and liver a well-deserved break, and also to provide better support my clients who want to do the same. The process helps me start the season on the right foot, by resizing my appetite and reassessing which foods serve me best. The first detox I ever undertook did not go well — to say the least. The detox program I had found in a wellness magazine gave recipes and lists and promised marvelous results. I felt good during the detox and was fascinated to see how my body reacted. And react it did! Coming off of it, I became so sick that I swore I would never do another detox, ever. What I had done was to get off the regimen too quickly, before all the toxins were out– basically “in-toxicating” myself… It also felt like a diet, something with a beginning, and end and lists of dos and don’ts— in other words, it was not sustainable, in the sense that it was not going to change my habits. So for my next attempt, a year later, I hired a health coach and the outcome was totally different. First, I received plenty of moral support from her and other group participants. Second, she gave me the structure, concrete tips, and the guidance and information I needed to be successful. This time, I got great results, without getting sick. Little did I know that it would also result in a career change— but that ‘s another story for another post. 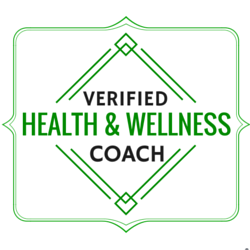 Here we are now… I recently completed my first detox as a certified health coach. This time, I combined the detox approach with an elimination diet– avoiding all major allergenic food groups for two weeks. That means no processed foods, wheat, sugar, dairy, alcohol, and caffeine. But plenty of whole unprocessed foods; fruit and vegetables; seeds; juices, smoothies and soups. The first five days went smoothly, by day six, I was very hungry… and had to remind myself that this was not a deprivation diet but rather an effort to cleanse my system. So I started eating bigger quantities of very nutritious food, and that allowed me to continue with any problems and hunger pangs. The 5-pound weight loss of the first week gave me the incentive I needed for the second week; even if losing weight was not my main goal, it was certainly a nice bonus. After two weeks, I was no longer craving the foods I had taken out. My complexion was also clearer and more uniform, I had more energy, I lost not only 9 pounds but also my craving for dark chocolate. While it’s possible to keep this way of eating for longer (many people do it), it would neither fit my lifestyle nor what my body needs to thrive. What is your experience with detox diets? Success or failure? What came to you easily and what came with difficulty? Do you feel like you triggered your reset button too? Would the help of a coach be useful? Would you prefer a group setting or an individual setting? Thank you for sharing your thoughts with the rest of the Aigle Health community.